From your engagement to the big day itself, careful planning and scheduling will enable you to truly enjoy every moment of your wedding day. everything from your dress to the honeymoon and enable your suppliers to provide the best quality and service as possible. - When any woman accepts a proposal, her next thought is usually The Dress.. so start looking early for your perfect style. - Decide the date and place of wedding. - consult both sets of parents, draw up your guest list. - Select your Chief Bridesmaid, Best Man, witness and other attendants. - Apply for marriage licence with local Registrar if planning a civil ceremony. - Order your dress, attendant's outfits and accessories. - Order the wedding cake and favours. - Book flrosit and choose arrangements. - Book your desired form of transport to and from the ceremony. - Book a toastmaster if required. - Reserve marquees and rental equipment. - Select a stationery company for invitations, order of service. - Select and book musicians, DJ and entertainment. - Arrange hire of suits for groom, best man. - Book firework company if required. - Order your wedding rings. - Book dental appointment to allow time for any work needed. - Compile wedding present list and register. - Send out invitations and keep track of RSVPs, gifts and thank you notes. - Book your first night accommodation. - Discuss details of menu with venue. - Book organist, choir and bells with church. - If you are writing your own vows, do so now. - Schedule rehearsal time and dinner. - Buy gifts for bridal party and each other. - Buy any specail lingerie your dress requires. - Buy shoes and start breaking them in around the house. - Go shopping for mum's outfits, your going-away outfit and honeymoon clothes. - Make appointments with Hair and Beauty salons. - Select dry cleaning and gown and bouquet preseration. - Start writing your speeches. Or consider having professional speeches written for you. - Have a trail run with make-up and hair and headdress. - Have final fittings for yourself and your attendants. - Finalise details for the wedding. 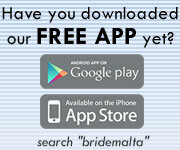 - Pick up your wedding gown. - Notify venue/caterer of final guest count. 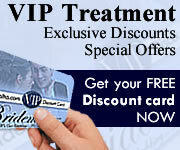 - Have facial and other beauty treatments. - Give best man envelopes for paying any remaining fees. - Start gathering wedding ensemble and packing for honeymoon. - Make a detailed list of everything to be collected or delivered in the next few days and delegate as much as possible! - Plan some quality time with your family or friends so you can all share some special moments before starting this new chapter in your life.